What happens when Stephen Spielberg and Oprah Winfrey get together to produce a movie? Pure magic. That’s what. 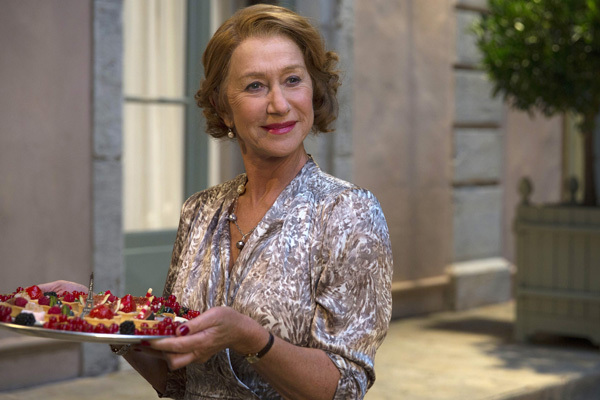 Throw in the directing chops of Lasse Hallström and stellar cast headlined by the always enchanting Helen Mirren and you have an instant formula for success. 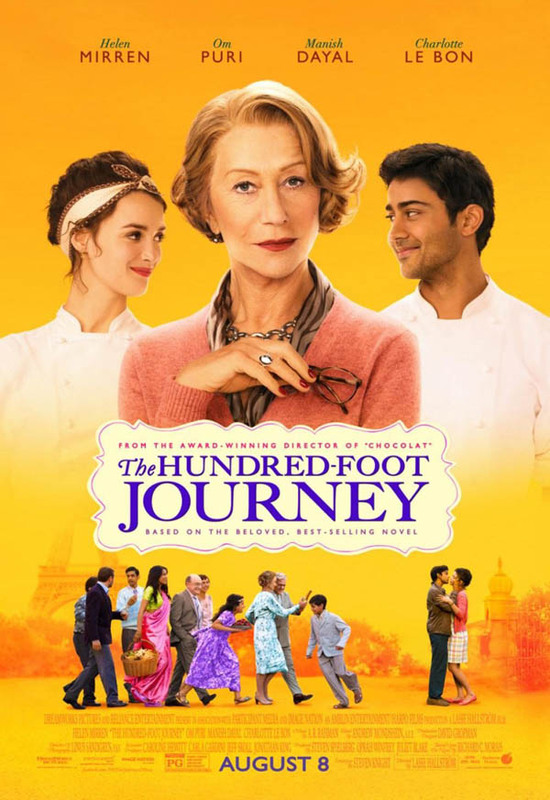 Allow me to introduce you to such a film: The Hundred-Foot Journey . I have wanted to see this for the longest time and I finally got the chance on our return flight from Paris. 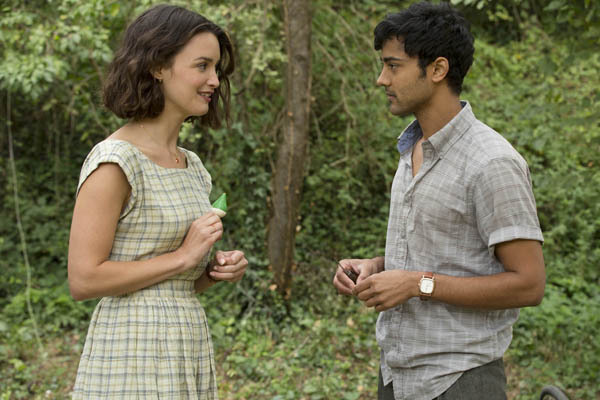 The film, which gets off to a slow start, focuses on a young Indian chef, Hasan Kadam (played by the immensely charismatic Manish Dayal) and his family who immigrate to England from their home in India after a riot sparked by local elections lead to the death of the family matriarch and the destruction of the family’s restaurant. 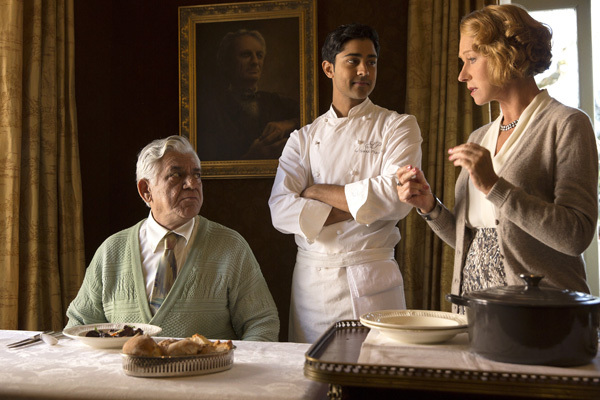 When the climate and the food in England prove uninspiring, the family’s patriarch, Papa Kadam (played wonderfully by Om Puri), decides to move the family to Europe. 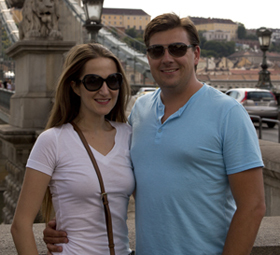 After their breaks go out in a small town in the south of France, Papa takes it as a sign that they are meant to set up shop right then and there despite his family’s protests. 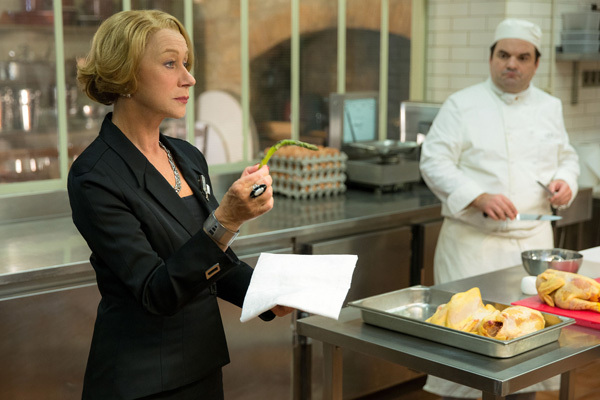 He finds a restaurant property in town across from an already established, not to mention Michelin-starred, French restaurant run by the domineering Madame Mallory (Helen Mirren) who is not very keen on having competition. It doesn’t take long for war to break out between the competing restaurants and their proprietors. 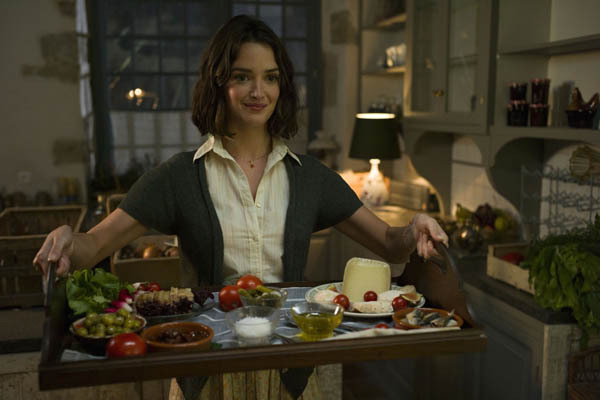 Of course, complicating manners even further is the budding relationship between Hasan and Madame Mallory’s protégé, Marguerite (Charlotte Le Bon), who have some of the best chemistry I’ve seen between two actors in a long time. This movie gets two very enthusiastic thumbs up from yours truly and it is the perfect movie for a night in (or maybe even a Valentine’s night in).